In order to design your own made to measure sliding wardrobe doors online at Slide Wardrobes Direct, you’ll need to know the overall height and width of your wardrobe. So here’s an easy guide on how to measure up for your own wardrobe sliding doors. How do I work out what size doors I need? You’ll need a measuring tape to calculate the opening height and width of the wardrobe space available. All measurements must be provided in MM. Remember you’re measuring aperture sizes and not door sizes. Use your measuring tape to size up the total height of the opening from floor to ceiling (at the recommended 650mm from the back wall to allow enough space for internal fittings). The floor and ceiling may not be exactly parallel so it’s important to take 3 different height measurements as shown in the diagram below – A, B and C. You then need to provide us with the SMALLEST of these 3 height measurements (if they differ). Next you need to measure the width of the opening. The type of wardrobe installation you require will determine what dimensions you need. A wall to wall installation requires no end panels and so you will need to measure the wall to wall width of the space available. Measure the D and E opening width as shown in the diagram above. If there is a difference between measurements D and E this means that your walls are not parallel. In this case you will need to provide us with the BIGGEST opening width measurement to allow for the correct door overlap. If your sliding wardrobe needs to fit between a wall and a doorway or window opening, you will require an end panel as part of your sliding wardrobe kit. Measure the D and E width of the opening as shown in the diagram, making sure you give us the maximum overall measurement INCLUDING the end panel and we will then calculate and manufacture the doors to the correct width to fit inside your end panel. 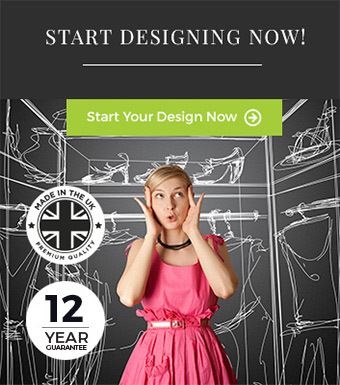 Our online door designer has a separate section for choosing end panels and liners – easy! 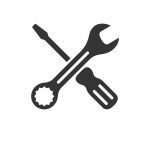 For installations inside a pre-made frame, please give us the SMALLEST inside measurement of the HEIGHT of your frame and the BIGGEST inside measurement of the WIDTH of your frame. You do not require liners if you already have a frame in place so do not order liners with your sliding wardrobe kit. If you do, you will change the total measurement needed for the wardrobe doors to fit. If your installation is End panel to End panel, you will need to measure the D & E width to the OUTSIDE EDGE of both end panels. 📏 It’s much easier to get accurate measurements when you have a bit of help, so ask a friend. This is most important when you’re getting the opening height. 📏 When measuring up, you need to consider any obstructions such as a skirting board, coving and radiator. Either remove them or build an unobstructed opening around them. 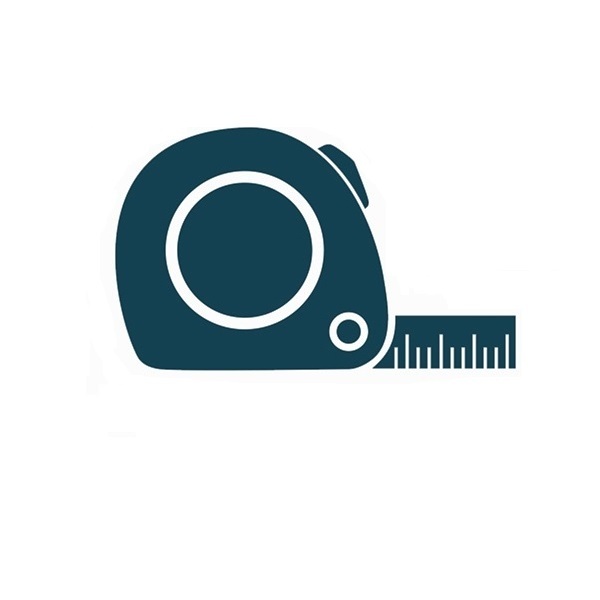 📏 It’s important to check that you have provided us with the SMALLEST opening height measurement and the BIGGEST opening width measurement. This will ensure that we manufacture your made to measure sliding wardrobe doors to the perfect fit. Can I get more help measuring my sliding wardrobe doors? Yes! For more information about how to measure up please download our helpful guide. Or watch our handy video below to see how it’s done. The Slide Wardrobes Direct team is also on hand to answer any questions that you may have so please do get in touch. Call our customer support line on 01636 671177. Once your wardrobe kit has been delivered to you, it’s time to install it. Read our handy guide on how to fit your sliding wardrobe doors.